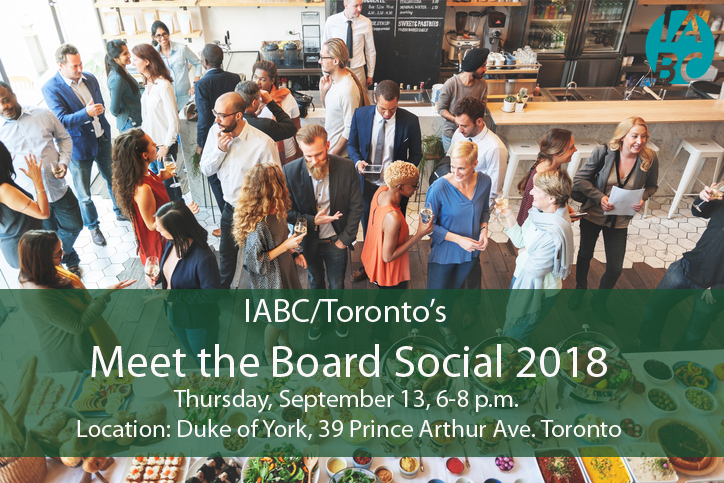 A not-to-be-missed event, the Meet the Board Social 2018 is a fun way for members and non-members to meet the chapter’s leaders for the year, learn about volunteer opportunities, and consider participating in our upcoming Mentorship program! Join us as we kick off the 2018-19 season and get to know your fellow communicators by playing a networking game for a chance to win a prize! The first drink is on us and we’ll also provide the snacks. The Duke of York is located east of Bedford, north of Bloor Street — steps from the St. George subway station. Once you get there, follow the sound of laughter to the second floor. We look forward to seeing you there!